Lost in the woods after dark, kittens Fuzz and Spatz don't know which way to turn to get back to their big white house. Many of the animals that live in the woods try to give them directions, but the kittens don't listen very well. Cold, hungry, and scared, they wait out the long, dark night. Soon they realize that they would already be home if they had just listened to older and wiser animals. 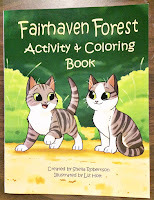 Come join Fuzz & Spatz as they learn a valuable lesson on their big adventure. Fuzz and Spatz let their imaginations run away with them when they see evidence of something living under the backyard deck. Their human pets don't seem concerned that all their orange things are disappearing, but the two small kittens are very worried. Will the orange thing-eating monster find them all the way around on the front porch? 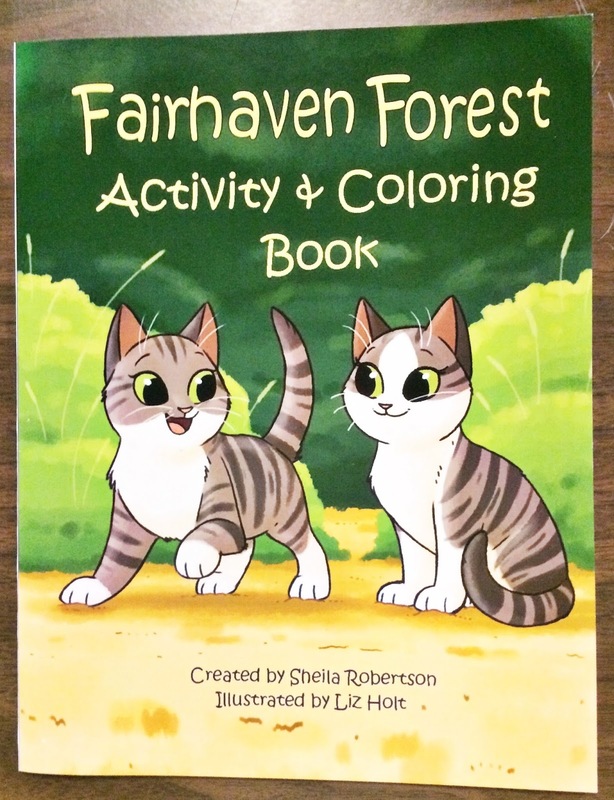 Come join Fuzz and Spatz as they learn a valuable lesson about fear and run-away imaginations. 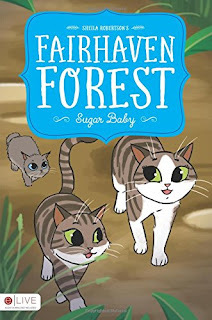 When Fuzz and Spatz find a baby kitten in the woods, they think their dreams have come true. They always wanted a baby sister! They soon discover that taking care of a baby is a lot more work than they expected. 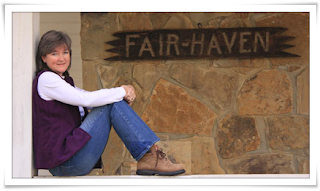 When the mother arrives looking for her lost baby, Fuzz and Spatz get an even bigger surprise! Join Fuzz and Spatz on their newest adventure while they learn a valuable lesson about responsibility. I had the pleasure of meeting Sheila Robertson and her husband at a book signing in a local coffee shop. This was my first time being introduced to the adorable, playful world of Fuzz and Spatz. 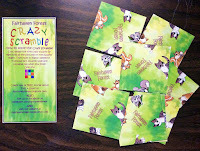 If you or your child is an animal lover, these books are a fun and playful way to teach simple life lessons through words and pictures. 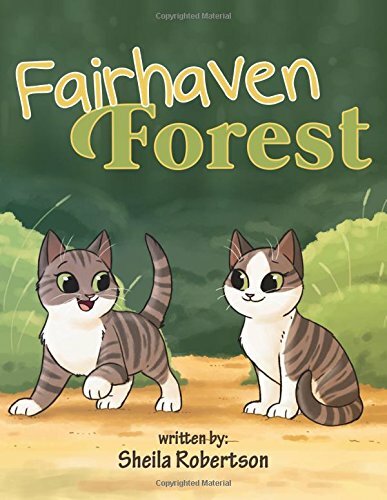 The Adventure Begins - In this introduction, Fuzz and Spatz learn a valuable lesson in active listening when they get lost in the woods. As night falls, they only seem to go around in circles before giving up for the night. Had they listened to those who tried to guide them, they would've found themselves in their cozy big white house with their bellies full. The first thing that caught my eye was the illustrations. Vibrant and fun, the art is something that draws the eye instantly. And how can you resist how adorable Fuzz and Spatz are? If you aren't a cat lover before reading these books, you may change your mind. Although this may seem like a simple element, I appreciate the dynamic in graphic around the text. I see several picture books come across my table where it's difficult to read because the text overlays directly on top of the illustrations, causing the reader to strain their eyes to read it. The text in The Adventure Begins is set on top of a soft-transparent white box that creates a more pleasing aesthetic. After reading this book, I had wished for a little bit more. The story is very adorable, but I think it could have used a little more plot element to really push off the series. However, comparatively I liked the way the illustrations were done in The Adventure Begins the best out of the three. Monster - One time when I was little and my family lived out in the country, I went downstairs to our big box freezer to get something. I heard a strange noise coming from the ceiling above me and I looked up to see what it was. It was hard to tell, but something was definitely moving. I ran upstairs screaming and my brother went and got whatever that thing was out of the house. He claimed it was a bird, and I claimed it was a bat. Considering he's 8 years older than me, he was probably right. But nonetheless, that thing scared the bajeebies out of me and I was too afraid to go into the basement by myself after that! In my opinion, this story had a bit more depth to it than the first one. Fuzz and Spatz are hilarious as they try to solve the mystery of the "orange-thing-eating monster." You will also be introduced to a new character (in addition to the "monster"), Mrs. Squirrel, who you will see reappear later. I'm also hoping that we will see her babies when they get a little older as well. The illustrations were just as wonderful in this second installment as the first, but we seem to see a little less of them on some pages. The format is more like an Early Reader rather than a picture book, which I think serves the story well. It took me a moment to decide which section I wanted to catalog it as when I added it to our library, but I decided on identifying it as an Early Reader. 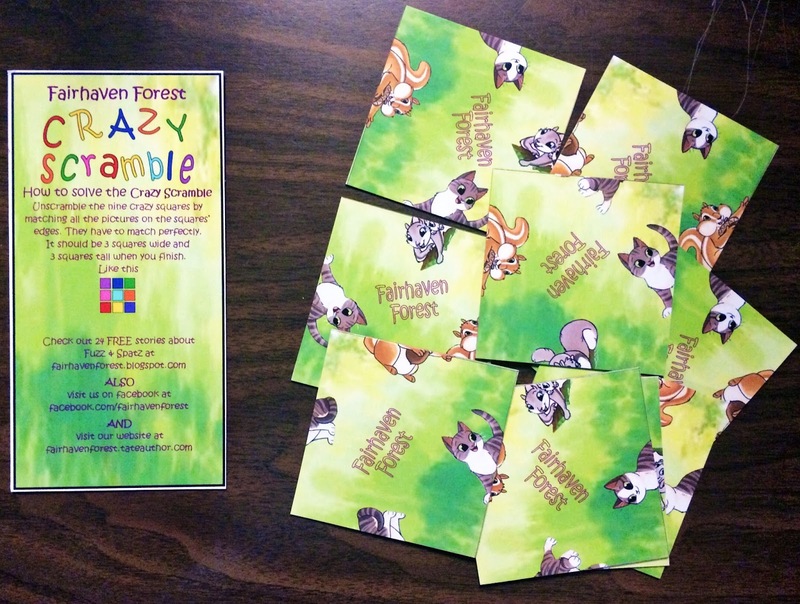 Nonetheless, this is another sweet and fun story from Fairhaven Forest! Sugar Baby - Oh, the joys of learning responsibility. This time, Fuzz and Spatz are trying to fight their boredom by searching for new playmates. However, all of their neighbors have responsibilities calling their attention. As the two retreat to their favorite spot, they stumble upon a lost kitten. Instead of searching for its home, they clean it off and adopt it as their new baby sister. It's not all they had hoped for, as they discover that taking care of a kitten is a lot of responsibility. Eventually, the kitten's mother makes an entrance and we find their new baby sister is no sister at all, but a baby brother! And it already has a family. The girls aren't too upset about it, because now they can get back to napping without the interruption. Very much like Monster, Sugar Baby is presented in the format of an Early Reader. I have also cataloged it as such, and it has circulated well there. There are some differences between this book and the previous one, and I almost like those changes more. There were a lot more borders added to the pages, and we came back to the white background behind the text like in the first book, but instead of having the scenery illustrated beneath, the entire page has its own template. The bordering then transitions to the image page. I think this is the most flawless of the three, however, I like the full illustrations in the first book the most. I enjoyed the plot of Sugar Baby, and felt like it had the clearest message out of the three books. Responsibility is a very important issue to tackle, and this was a fun and creative way of approaching it. The twist at the end was also very well done, and it definitely shocked me! Robertson did a wonderful job of weaving her message in a way that both children and adults can learn something. Fuzz and Spatz are two of the most adorable little kittens! 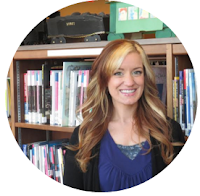 In the back of each book, you will find discussion questions that will help tie in the lesson of the book. I always love discussion questions with books, because you never know when you need it for a storytime or book club. Also, don't miss the special code on the final page of each book to download the audio versions for free! It has been generously provided as a bonus to your experience. 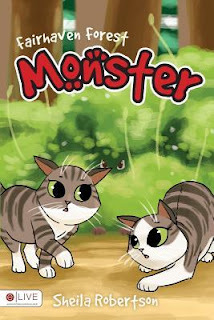 The light-hearted innocence of these two curious kitties is one to be enjoyed for all ages. 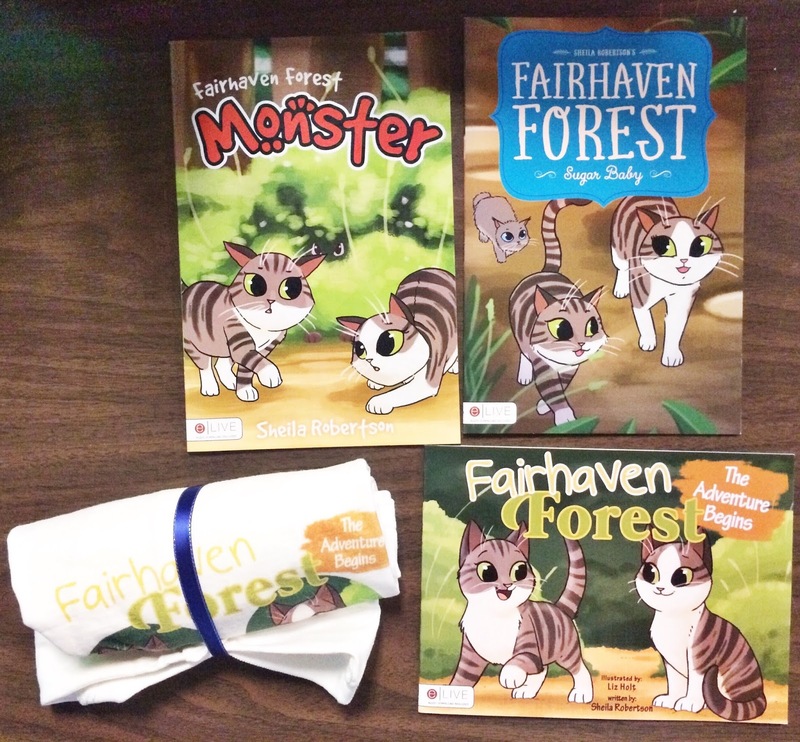 GRAND PRIZE: All 3 Fairhaven Forest books (1 Signed by Fuzz & Spatz) + a T-Shirt!